My Maine photography workshop has just begun and already we are being treated to Mother Nature’s Fall Spectacular. Since I got up for a sunrise shoot and it’s not almost 11:00PM and I have another sunrise shoot tomorrow, this will have to be short. My wife and I were driving past North East Harbor on Mt. Desert Island, doing a last minute check on sites where I plan on taking my workshop participants, when the pond scene at the Asticou Azalea Gardens reached out and grabbed us. This is an unretouched photo straight out of my camera (Hasselblad H4D-50). 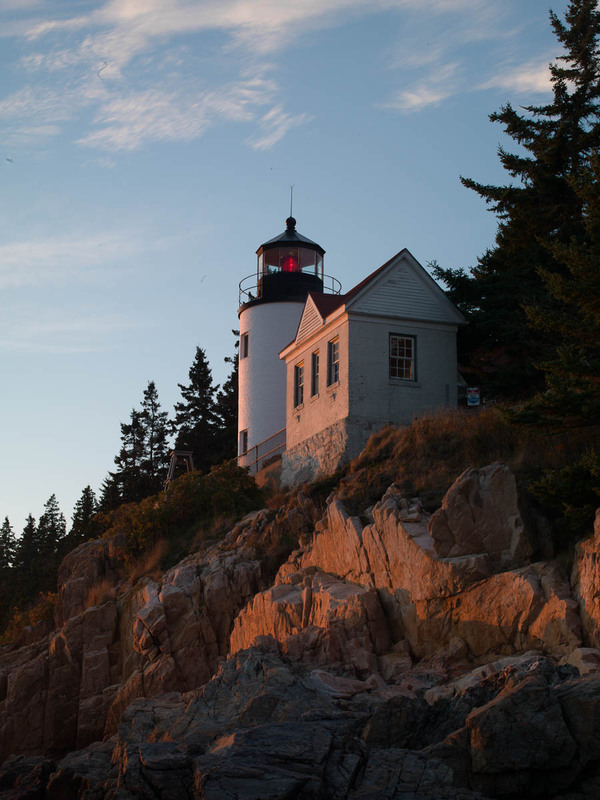 I also scouted out the iconic Bass Harbor Light last night and here’s what I walked away with. There were probably a dozen other photographers scoping out the historic lighthouse and we had lots of laughs as the cameras whirred into motion. My workshop participants arrived just before dinner and we scurried over to Jordan Pond for a quick shoot Tomorrow is a big day, starting with sunrise at Sand Beach in Acadia National Park.